Automotive Service Excellence (ASE) is an independent certification group that certifies professionals in the auto repair and service industry. Trust the ASE automobile parts specialists at Cook's Auto Service and Parts to find the correct auto parts for you. At Cook's Auto Service and Parts, we offer the best auto advice to help you prolong the life of your vehicle. We will give you full explanations of what is really involved in making your own repairs. We will also provide information on auto safety issues and different auto parts. Finding the right part for your vehicle is no easy task, but at Cook's Auto Service and Parts we have ASE parts specialists who will assist you in finding the appropriate part for your vehicle. Call or visit our shop in Dalzell, SC 29040 today. Are you frustrated searching for a hard-to-find part? Thanks to the internet, the process of locating hard-to-find auto parts has changed considerably. The internet provides a vast pool of resources for finding auto parts. Unfortunately, some auto parts are still hard to find. If you are unable to find the parts you're looking for, call 803-499-9086 or visit Cook's Auto Service and Parts today and our parts experts will be more than happy to assist you. 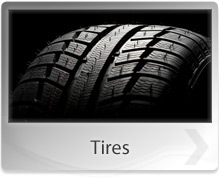 Every auto product comes with manufacturer information. The information may include the following: functional tolerance, recommended mileage, frequency of servicing and replacement, etc. The auto parts specialists at Cook's Auto Service and Parts will make sure you have and understand the correct manufacturer recommendations. 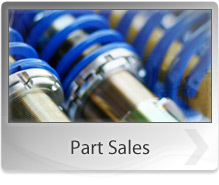 In addition to manufacturer information and specialty tools, we also offer parts identification and cross references. Visit or call Cook's Auto Service and Parts today for all your auto parts needs. Getting the right price for an auto part lets you plan properly. You are able to know what parts to get and for how much. 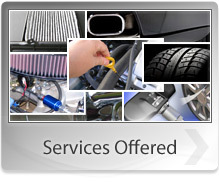 To help you plan properly, Cook's Auto Service and Parts offers a price check service. Call us or visit our auto parts store today for all your price check needs. Do you need a part delivered quickly? In the event we don't have it in stock or at one of our partner stores, we will get it for you overnight! At Cook's Auto Service and Parts, we have overnight shipping service to ensure that you have an auto part within the shortest time possible. Call or visit our auto parts store in Dalzell, SC 29040 today. In case you need factory auto part repair services or a replacement part, call or visit Cook's Auto Service and Parts today. Our collaboration with quality factory vendors ensures that you get high quality repair and replacement straight from the factory. Sometimes buying hard-to-find and specialty parts can be a headache. Most auto shops don't stock the hard-to-find parts or specialty equipment. At Cook's Auto Service and Parts, we stock the specialty and hard-to-find parts. If a part is not in stock, special orders are available. At Cook's Auto Service and Parts, we sell all types of automotive specialty tools for the tough projects. For jaw gear pullers, lighted inspection mirrors, etc., call 803-499-9086 or visit Cook's Auto Service and Parts today. At Cook's Auto Service and Parts, we offer vehicle and component specifications for those who want to do their auto repairs themselves. Contact the auto parts specialists at Cook's Auto Service and Parts, for your vehicle and component specifications needs. Keeping windshield wipers in good condition helps keep you safe on the road. At Cook's Auto Service and Parts, we can ensure the windshield wipers on your vehicle are in good working condition, and we will install new ones for you. For all your windshield wiper replacement needs, call 803-499-9086 or visit Cook's Auto Service and Parts in Dalzell, SC 29040 today. To check if we have a part in-stock, please call 803-499-9086.